If you often face the dilemma of whether to eat chips of chocolate, your problem is solved. 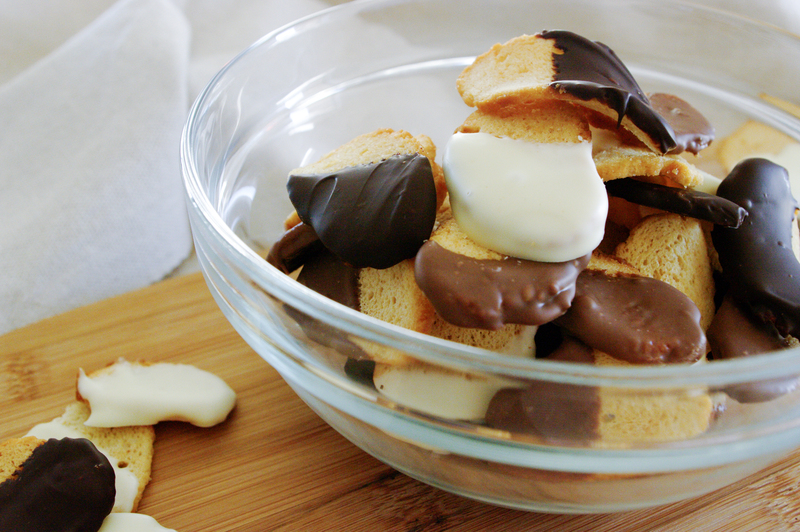 Introducing… Chocolate Dipped Crisps! The salty crisp paired with the smooth, sweet chocolate makes for a totally moreish treat that’s smooth yet crunchy, sweet yet salty, and undeniably delicious. These chocolate dipped bagel crisps will soon find there way into your belly and your heart; just in time for the ultimate party night. You can thank me later. Place chocolate varieties separately in 3 heatproof, microwave safe bowls. In batches, microwave on high for 1-2 minutes, stirring with a metal spoon every 30 seconds, until melted and smooth. 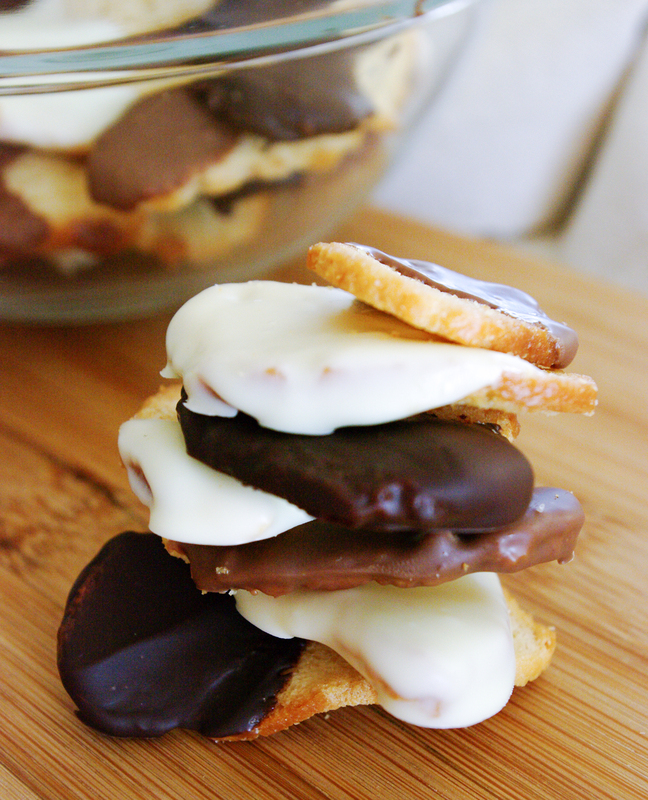 Dip half of each Abe’s Bagels – Marlborough Sea Salt Bagel Crisps into melted chocolate mixtures and place on a tray lined with baking paper for 15 minutes, or until set. Serve. TIP: for a fun combination, try sprinkling chopped nuts, sprinkles or sherbet onto the crisp once dipped in the melted chocolate.